Boxing’s No. 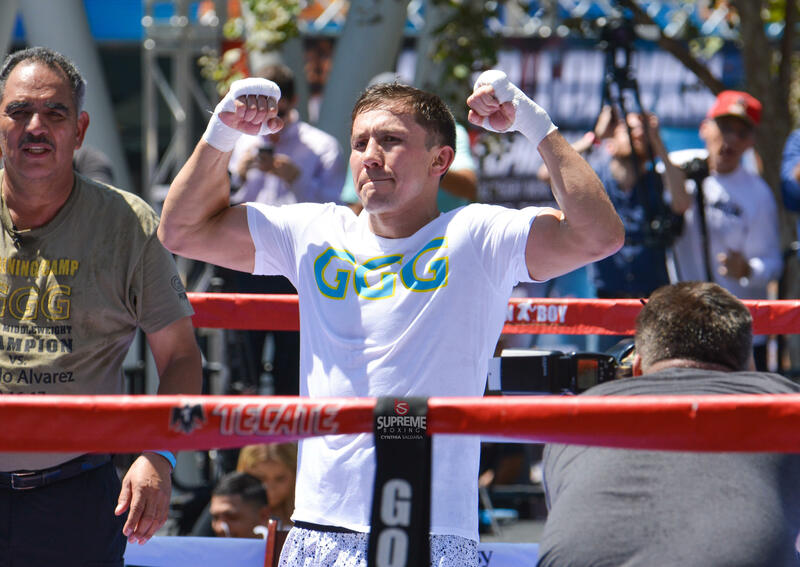 1 superhero and undefeated WBC/WBA/IBF/IBO middleweight world champion GENNADY “GGG” GOLOVKIN is back home in the Los Angeles area after his well-received visit to the Mexico, the motherland of his boxing style,. Joined by his trainer Abel Sanchez and promoter Tom Loeffler, Golovkin traveled to Mexico City this week to meet with his fans and thank them for the support they have given him throughout his career and especially in the lead up and aftermath of his September 16 title defense against Canelo Alvarez. Golovkin (37-0-1, 33 KOs), boxing’s longest-reigning active world champion, has successfully defended the middleweight title 19 times — one short of the record — since 2010. Golovkin’s whirlwind tour of Mexico City included a sustained standing ovation from 100,000 fans at Azteca Stadium at halftime of the game between the Oakland Raiders and the New England Patriots. Golovkin, wearing his WBC world title belt, was introduced on the field at halftime and greeted by an entire stadium chanting ‘Triple G’ repeatedly. The following day, the Mayor of Mexico City, Miguel Angel Mancera, honored Golovkin with a proclamation declaring him a distinguished guest of the city. The proclamation was in recognition of Golovkin’s generous support of the victims of the earthquake. The highlight of Golovkin’s trip was an extended visit to the Moctezuma Pediatric Hospital to give hugs, high fives and toys to children who are battling cancer. He also spent time with the relatives of the children, accompanied by the head of the Ministry of Health, Armando Ahued Ortega, and the president of the World Boxing Council (WBC) Mauricio Sulaiman. “It really touched my heart to visit the children in the hospital, it was nice to bring them a special moment for a day,” said Golovkin. “I have so much respect for the doctors and nurses who treat the children and their families every day. I am just thankful to God that I am in a position to be able to visit them and bring a smile to their faces.